Australian governments at all levels have been developing and implementing policies to promote a re-engineering of the Australian economy towards lower carbon emissions, increased use of clean renewable sources of energy, the more efficient use of scarce resources, and reduced ecosystem impacts. Examples of recent policy initiatives at the Australian Government level include the Clean Energy initiative, Solar Flagships, Re-tooling for Climate Change, the Green Building Fund, and the Green Car Innovation Fund. 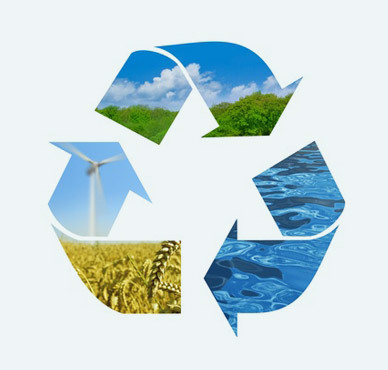 State governments have responsibility for much of Australia’s environmental management and regulation and have a plethora of policy initiatives around environmental protection and sustainability of natural resources. These policies broadly align with various international agreements and initiatives to promote the transition to a greener economy, including the United Nations Green Economy Initiative, the International Labour Organisation (ILO) Green Jobs Initiative, and the Organisation for Economic Cooperation and Development (OECD) Green Growth Strategy. Green Economy Is Not Yet Made in U.S.A.
Manufacturing, long in decline in the United States, might rise again if the green economy were 100 percent homemade. But that big “if” is not what’s happening and seems unlikely. Rather than “made in America,” much of the green manufacturing to date is “assembled in America” from parts made overseas. The Obama administration is trying to change that, offering generous tax credits to generate domestic production. But the impact has been modest, because assembly plants qualify for the credits. Very slowly, that reliance on imports might be changing. Gamesa North America, which is Spanish-owned, makes blades and nose cones in eastern Pennsylvania for assembly into wind turbines. A new company, SpectraWatt, a spinoff from Intel, started production of solar cells last month at a factory in Fishkill, N.Y., manufacturing a component of solar panels now often imported. Yet fewer than 500 applications have been filed so far for the tax breaks, and if all were approved they would add just 75,000 green manufacturing jobs, according to Robert Pollin, an economist at the University of Massachusetts, Amherst, who has done studies for the administration estimating the impact. Still, he is optimistic. “Clean energy is a huge opportunity to revive manufacturing,” Mr. Pollin said. In all, fewer than 200 factories in the United States are devoted to green production, employing no more than 15,000 workers. While the numbers are rising, many of the plants are foreign-owned, and several Democratic senators want the incentives stopped until Congress can change the law, restricting the subsidies to American-owned companies. Whatever the ownership, assembly operations that rely on imported parts do relatively little to revive manufacturing, which represents less than 12 percent of the nation’s economic activity. (In the early 1950s, it was nearly 30 percent.) Employment in manufacturing similarly has fallen, to 11.5 million today from more than 16 million in 1953. In the rise of green manufacturing, Asia, particularly China and Japan, dominates in solar, and Europe, particularly Germany and also Spain, in wind and high-speed rail, the latter a potentially giant industry that does not yet exist in the United States. A green economy, in the context of sustainable development and poverty eradication, is one of the two central themes of the UN Conference on Sustainable Development scheduled for June 2012, or Rio+20. A nation like Canada, with its Green Energy and Economy Act and Water Opportunities Act in Ontario alongside the engagement of several provinces in the Western Climate Initiative, underlines how the green shoots of a green economy are emerging everywhere. The challenge facing governments, cities and the private sector is how to accelerate and scale-up such transitions over the coming 20 years in both developed but also developing economies and ones that are more state or more market-led. In Canada, Ontario’s Green Energy Act has spurred the development of local renewable energy companies including more than $9 billion in private sector investment and creating an estimated 20,000 new jobs.